A total lunar eclipse is happening at the same time as a supermoon beginning on January 20, 2019 at 10:35 PM ET ending at 1:51 AM ET on January 21, 2019. Lunar eclipses occur during a full moon, a supermoon occurs when the moon is full and closest to the earth in orbit. The moon will be in perfect alignment with the sun and Earth, with the moon on the opposite side of the Earth from the sun, causing a shadow to fall on the moon; sunlight scattered through the Earth’s atmosphere causes the moon to appear a dull red, thus the name Blood Moon. Sunday’s moon is the first of January, and it’s referred to as a wolf moon, in Native American folklore each month’s full moon had a name, and January’s came from the packs of wolves that would howl outside Algonquin villages. This will be the last total lunar eclipse visible in the United States until 2022 The best time to see the Super Wolf Blood Moon will be at 11:12 p.m. ET Sunday night, although the darkening starts at 9:33PM ET and ends at 12:50AM ET Here in North Texas we are on Central Time so plan so plan on one hour earlier. 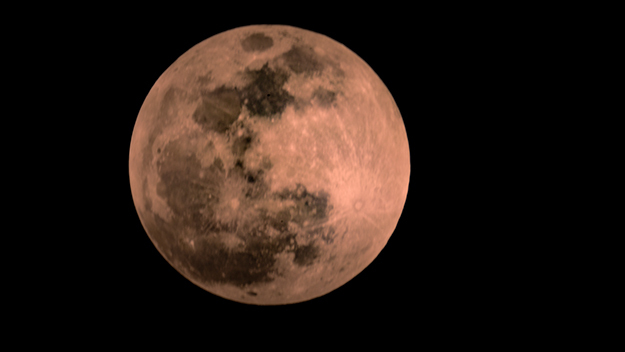 The dramatic change of color will occur after an hour, at 10:33 p.m. ET, or 9:33 p.m. CT here in the Dallas/Fort Worth area when it moves into the darkest part of the Earth’s shadow. The 2019 total lunar eclipse will last approximately 1 hour and 2 minutes. It will comence around 11:41 p.m. ET on Jan. 20 and peak around 12:16 a.m. ET on Jan. 21. Again, for those of us in North Texas, one hour earlier. So make sure you’re at a dark spot and possibly pack some binoculars if you really want a clearer picture. No special glasses required for viewing. Also, remember to give yourself some extra time before the eclipse is set to take place. It takes about 20 minutes for your eyes to adjust to the darkness. This entry was posted in All Posts, Texas Events and tagged 2019, Blood Moon, Blood Moon North Texas, Super Blood Wolf Moon, Super Wolf Blood Moon Dallas Fort Worth, total lunar eclipse January 20. Bookmark the permalink.